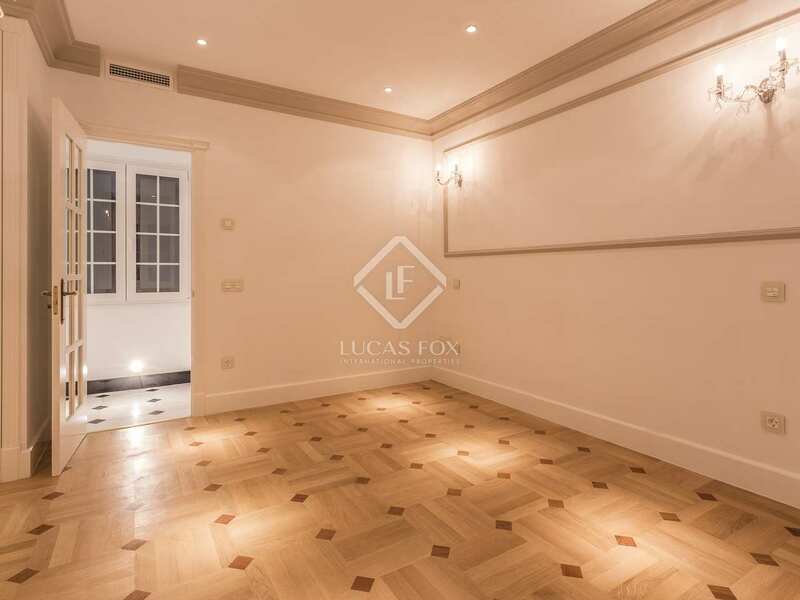 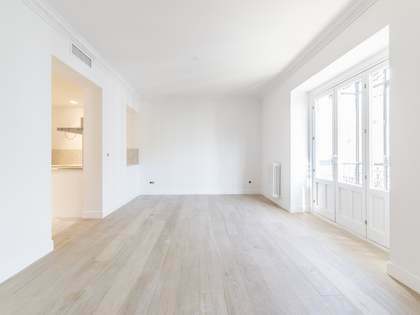 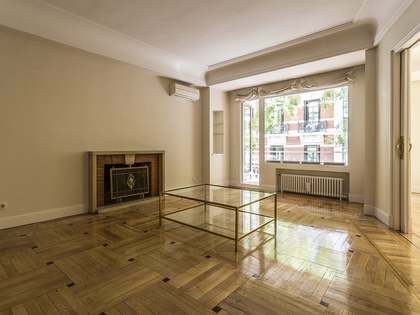 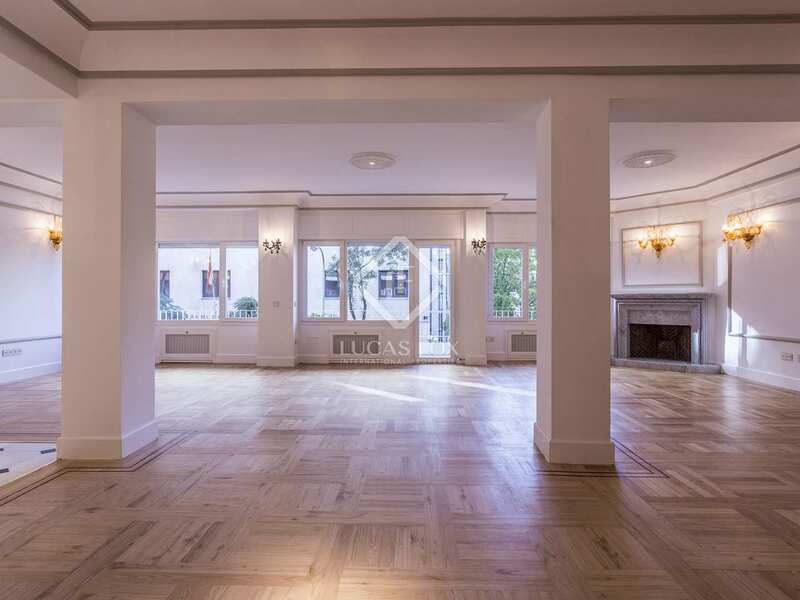 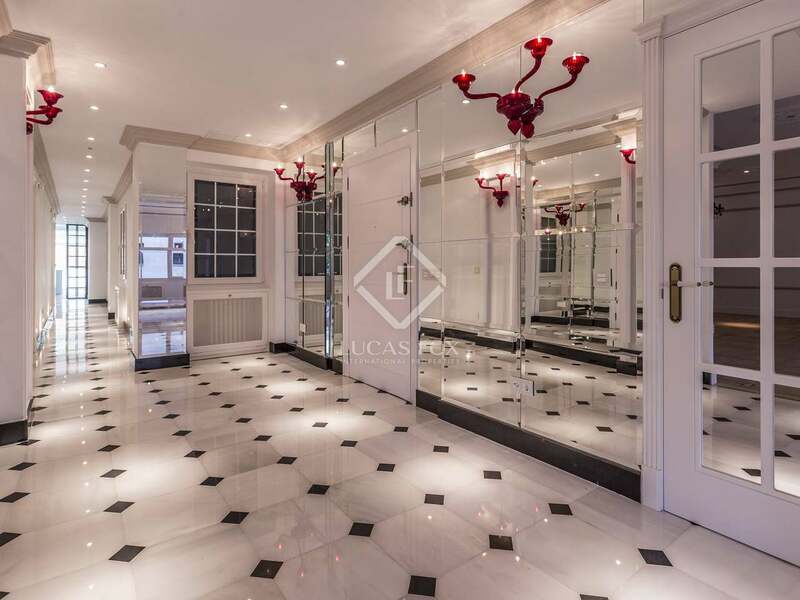 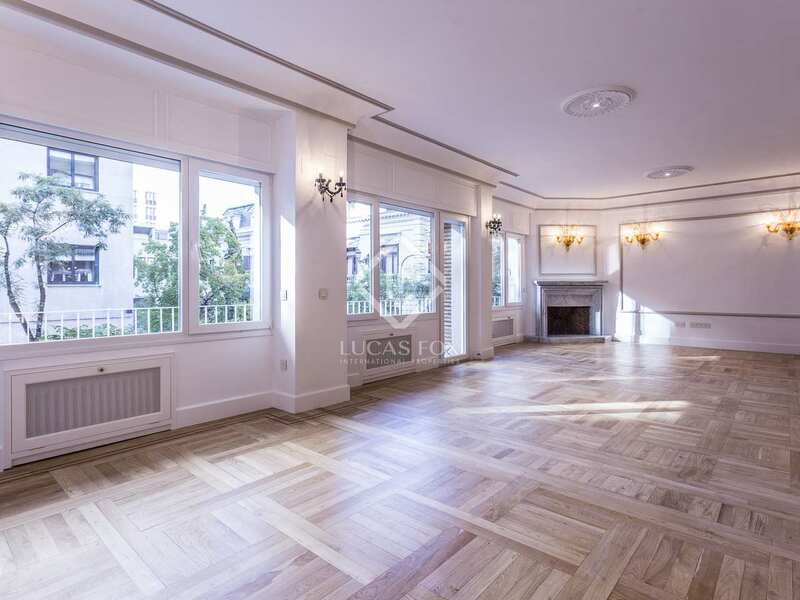 Exceptional renovated apartment for sale in one of the best areas of Madrid with 4 bedrooms, a terrace and garage parking. 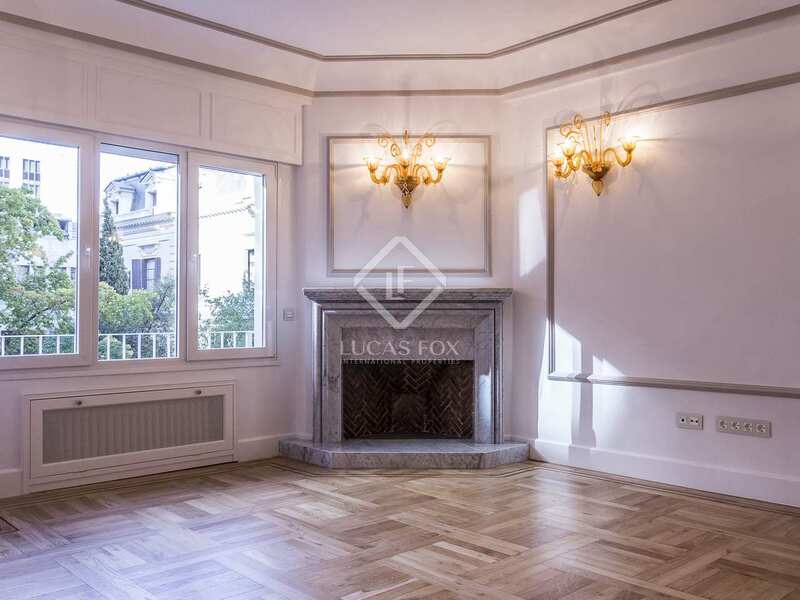 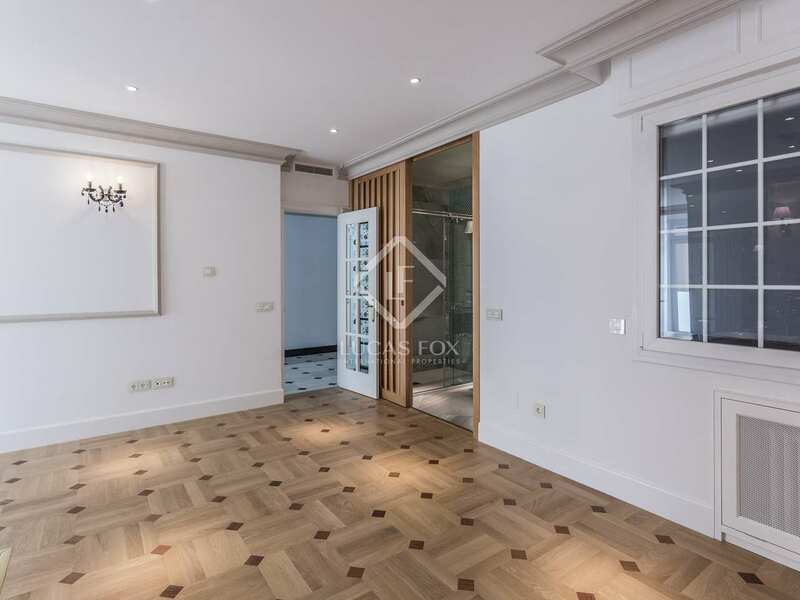 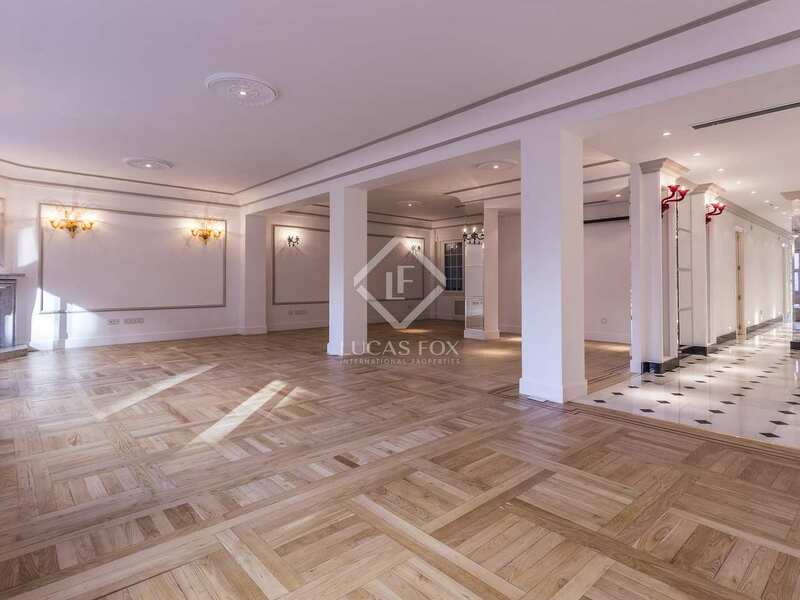 This stunning apartment is an excellent city centre home, not only because its desirable characteristics, but also due to its location in one of the best areas of Madrid. 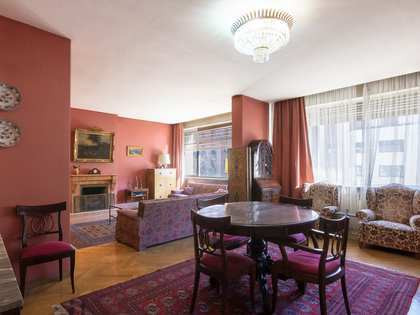 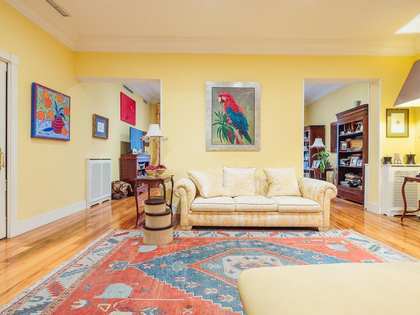 The apartment is located in Almagro, within the aristocratic Chamberí district which boasts an abundance of shops, restaurants and art galleries in addition to excellent public transport and all necessary services. 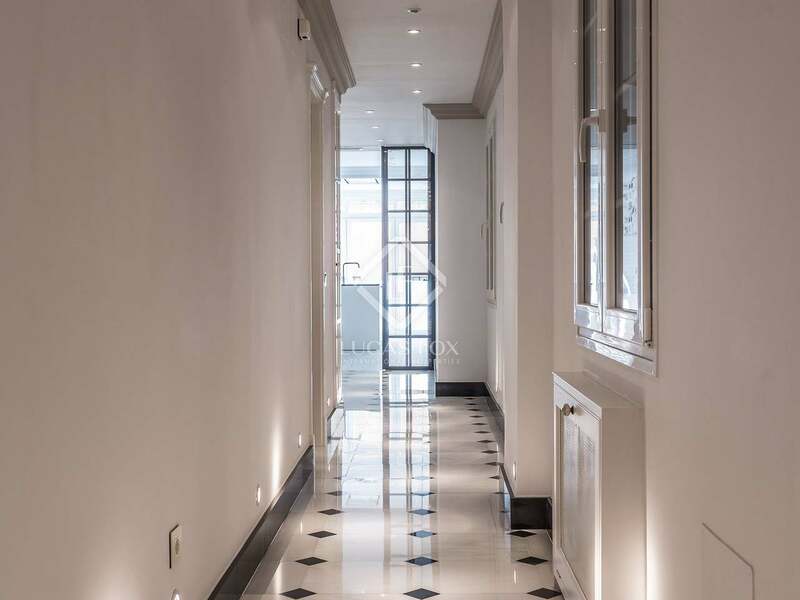 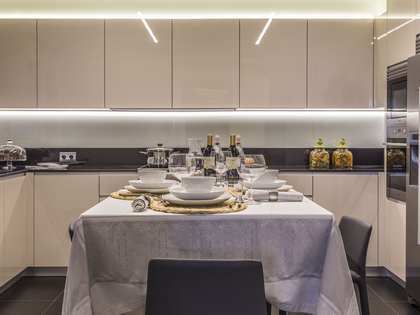 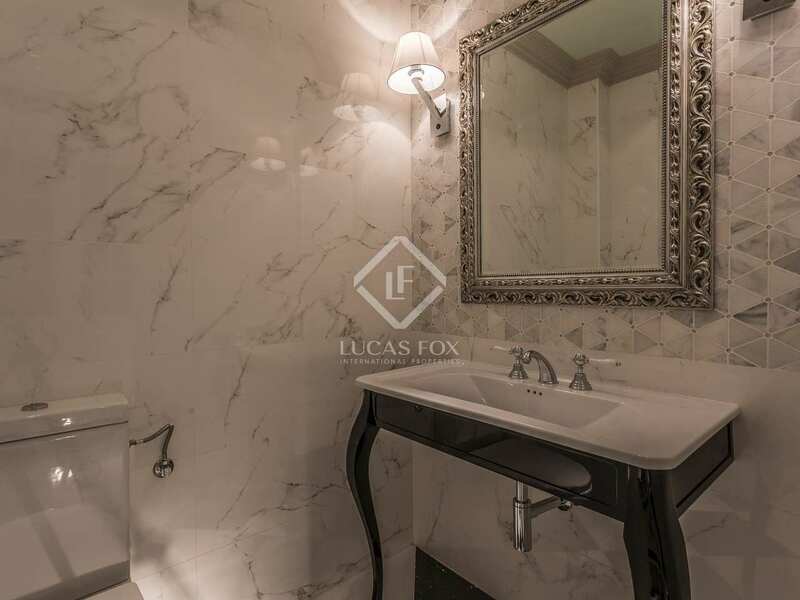 On the first floor of a modern building dating back to the 1970s, the apartment itself has been fully renovated with the highest quality finishes including Murano glass lampshades and Carrara marble flooring. 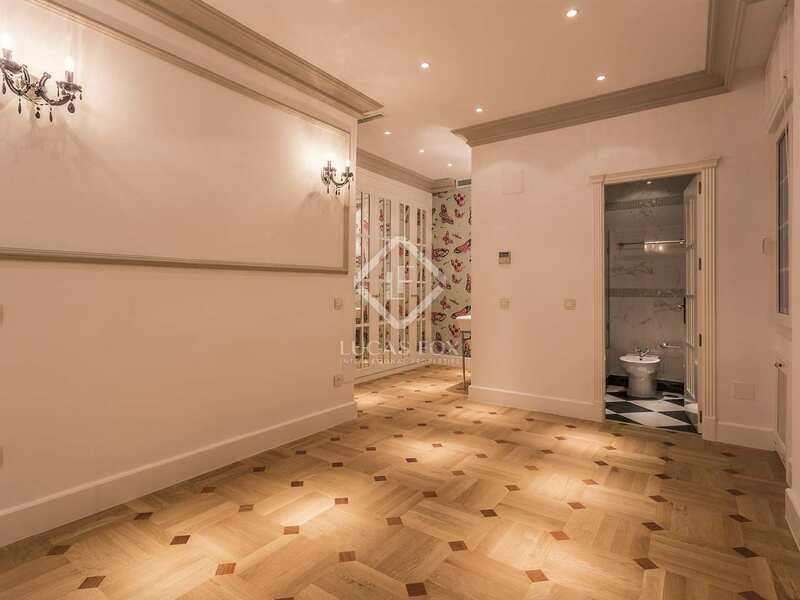 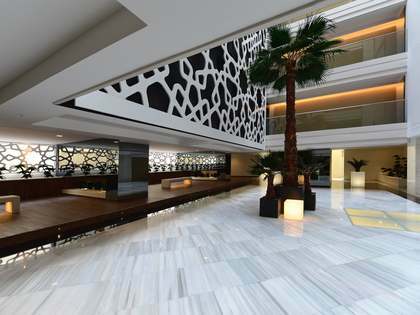 We are welcomed into the apartment by a wide entrance hall with a cloakroom and guest toilet. 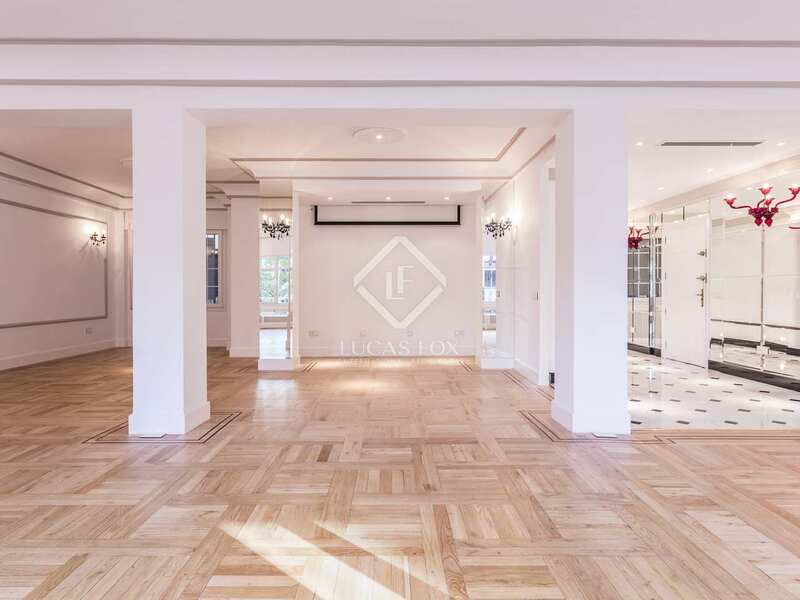 The hallway leads to the generously sized living-dining area with attractive wooden flooring and access to the 13m² terrace. The separate kitchen is modern and fully equipped, it has an island ideal for breakfast and informal dining. 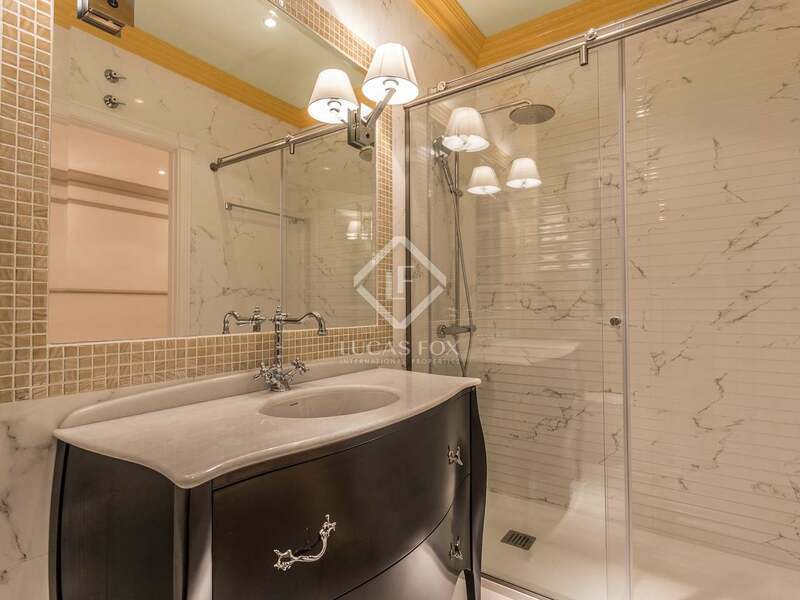 The apartment has 3 well-sized bedrooms, each with an en-suite bathroom, plus a service bedroom with a toilet. 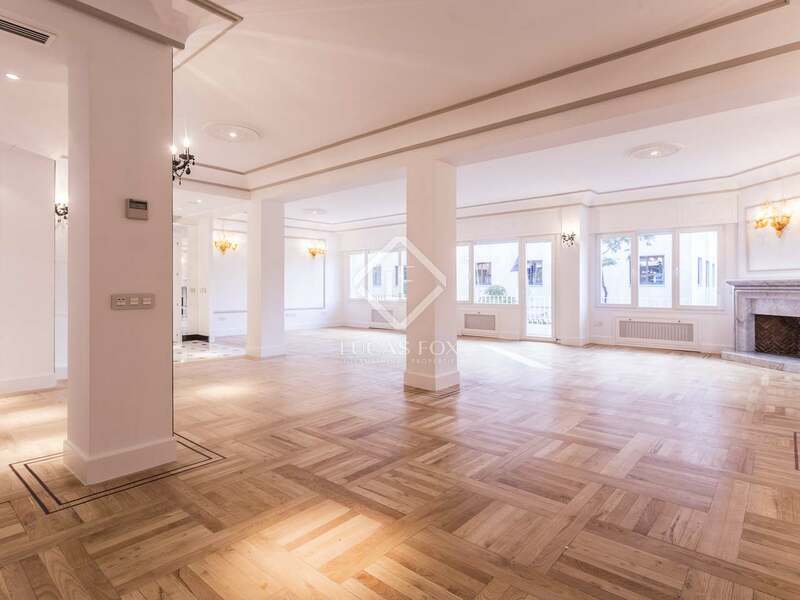 With air conditioning and central heating plus underfloor heating in the bathrooms, the apartment is a comfortable year round home. 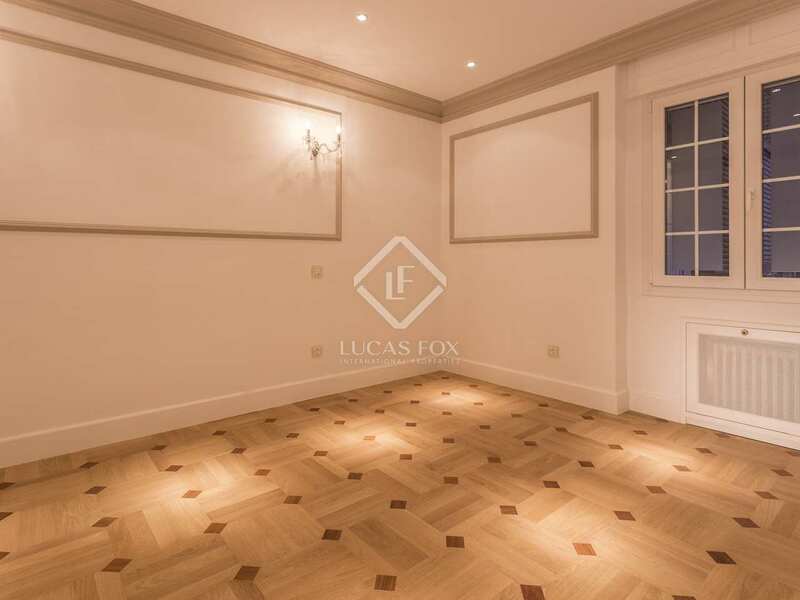 Further highlights include a professional cinema screen and pre-installation for 4k. 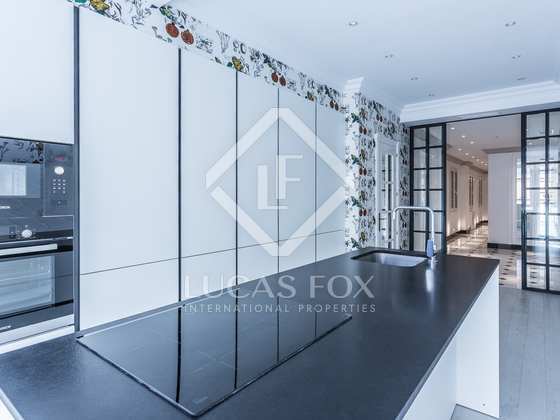 Owners have the use of a garage parking space and a storage area which can be accessed directly. 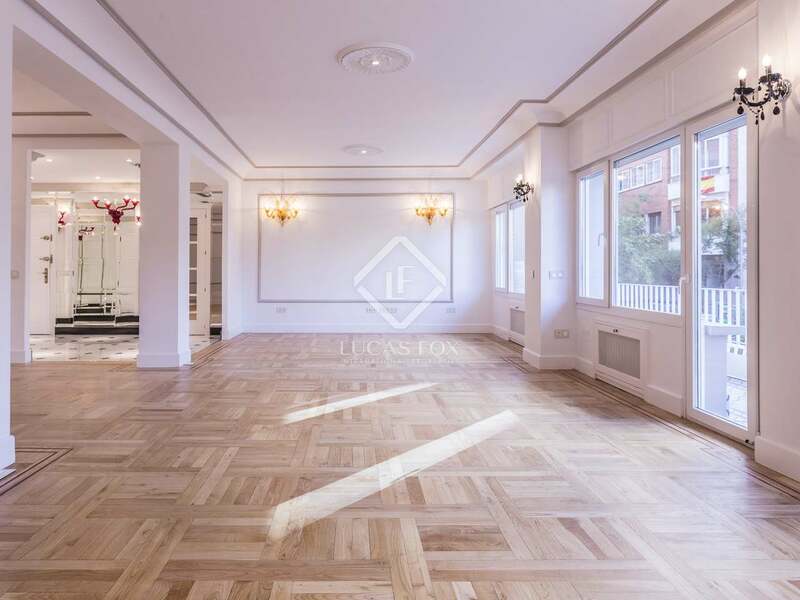 This spacious apartment is an ideal family home in an unbeatable location and could also be an interesting investment option as there is high demand for rentals in this area. 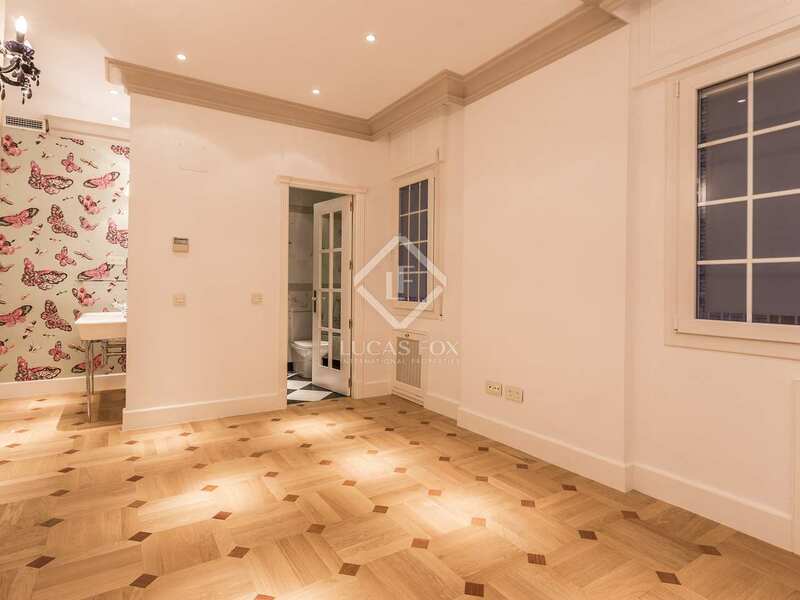 Apartment located in Almagro, Chamberi one of the most noble areas of the city. 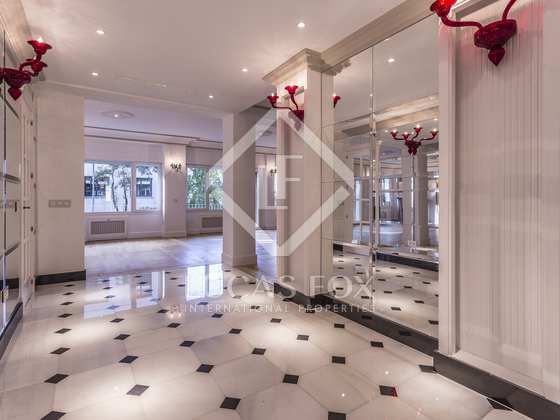 Close to Paseo de la Castellana, there are an abundance of shops, restaurants and services close by. 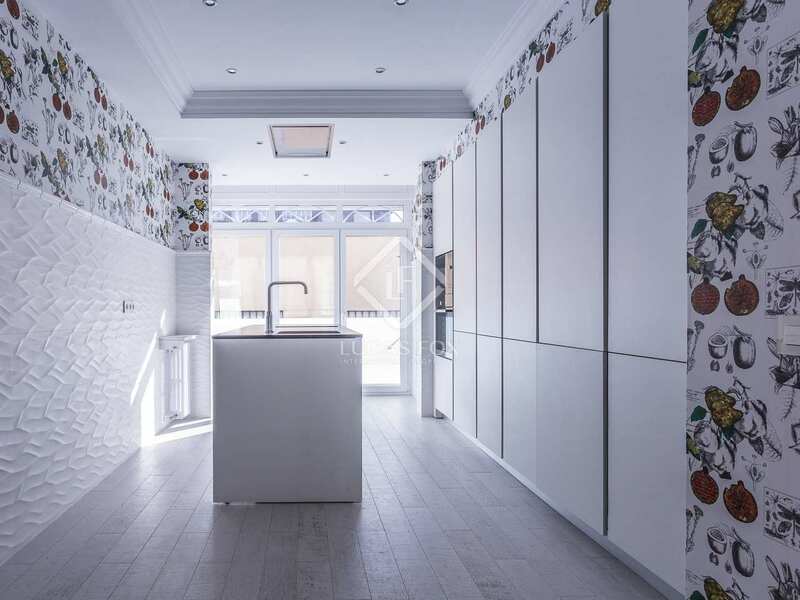 The area is very well connected to the rest of the city with Rubén Darío metro station and several bus routes.